Building wealth is a part of the American Dream. We’re told that through hard work and seizing opportunities we can lead successful, healthy, and wealthy lives. But building wealth isn’t important just for the sake of having money. In fact, it’s almost a requirement these days if you want to fully retire at some point. Social Security won’t provide much of a retirement. Your kids may not be able to afford college on their own, and there’s a good chance that health care costs can wipe out even a decent nest egg during your golden years. Since building wealth is so important for our future why is it that most people still find themselves under a mountain of debt or end up retiring broke and unhappy? It isn’t just luck. Sure, in the game of life luck does play a part, but most of the outcomes in life are directly attributable to the choices you make and financial decisions are no different. If you make smart decisions with your money your odds of success lean in your favor. Make poor decisions and you put yourself behind the 8-ball. Here are seven of the biggest money problems and mistakes most people make and if you can avoid making these mistakes you’re on the fast track toward building wealth. This is the granddaddy of them all. For generations we’ve been told that owning a home is how you build wealth. The reasoning was simple: you buy a house, live in it for a few decades, and sell it for a large profit since it appreciated in value. For the Baby Boomers and their parents this was a reasonable expectation. People did not move around as much, had steady employment with a company, and they held on to their homes long enough that it was almost unheard of to not make money when selling your home. For our generation, things are different. Generation X and Y are mobile creatures. Gone are the days of company loyalty and staying with the same employer for 30 years so you can retire with a big pension and a gold watch. No, today people are on their own and have to do what’s best for themselves and their families. This often means frequently changing jobs, moving, or even losing a job and being forced to look elsewhere. This means people aren’t staying in their homes nearly as long as they used to. And guess what that means? The less time you live in your home the less equity you build. The less equity you have the more likely that when you sell you’re going to be put into a position where there is little or no money to be made and it could even cost you significantly as we’ve seen in recent years. Factor in the above chances in home ownership with the fact that banks are often willing to lend more money than you can realistically afford and you’ve created the perfect wealth destroyer. Owning a home used to mean building value and adding to your net worth, but these days more people are finding that owning a home is nothing more than a large monthly payment. Make sure you’re buying a home for the right reasons so you can avoid the next housing bubble, otherwise you could be making one of the costliest financial mistakes of your life. If you’re like most Americans you probably spend a good deal of your time driving to and from work. Thanks to the way our country and cities were built this is how most of us have to live and that means having a car (or two or three). The downside is that owning a vehicle is an expensive proposition. First, you have to buy a car, but the expenses don’t stop there. Even after putting out thousands of dollars for the vehicle itself you’re left with filling it with gas. Then you have to get regular oil changes and perform routine maintenance. And let’s not forget about insurance. Oh, and those flat tires and unexpected repairs can be costly as well. All said and done, the average person will spend over $500,000 on vehicle expenses over their lifetime. No, seriously. 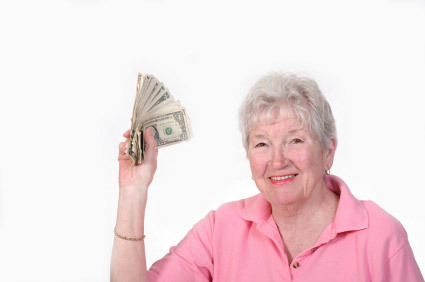 Most people end up spending more on their cars than they have in their retirement account by the time they are 65. Think about it. So, don’t make the same mistake many vehicle owners are. Most of the people you see driving around $70,000 luxury SUVs are not as wealthy as their vehicle leads you to believe. Their car is likely making them poor and they probably have little more than a bunch of monthly payments that still has them living paycheck to paycheck. Buying new vs. used can be one mistake, but it goes beyond that. Spending more money on a nice vehicle leads to more interest being paid when financing, costly maintenance, and higher car insurance premiums. To make matters worse, these are all costs associated with a depreciating asset! You will continue to throw money at something that becomes worth less every single day. I may not be a mathematician, but even I know that isn’t how you build wealth. Let fools be easily parted from their money as they sink it into hunks of plastic and steel. You can find a better use for your hard-earned money, can’t you? We all know that big purchases can be costly, but it’s the little things that can kill you. You need to plug your money leaks if you want to find a little extra in your budget each month to save, invest, or pay off debt. It’s the premium movie channel, the extra text message plan for your phone, the magazines you never get around to reading or the Netflix movies you find yourself holding on to for a month before watching them. Each of these may only be $10 a month individually so it doesn’t seem like much, but when you take a look at all of the little expenses that aren’t being fully utilized each month you could be sitting on a few hundred dollars that’s going to waste. It’s like the leaky faucet in the bathroom. 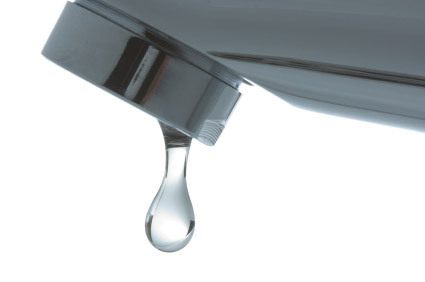 You may only see a single drip every few seconds and it’s hard to imagine those add up to much, but a single leaky faucet can waste over 1,000 gallons of water a year! The same thing goes for your money. A dollar here, five dollars there, and you hardly notice it on a weekly basis. But over a year and beyond you’re literally wasting thousands of dollars. Think about what it could mean if you were saving a few extra thousand dollars a year instead. It could mean an early retirement. 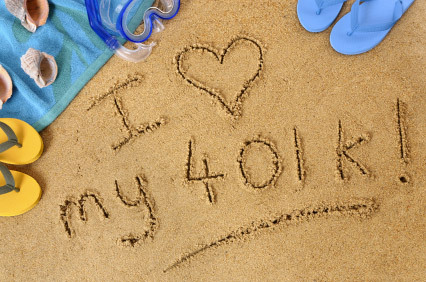 There is a reason these are called retirement accounts — because they are meant for retirement! This is a problem that many people face and it’s usually a result of other underlying money problems. Nobody wakes up in the morning and says, “hey, I think I’m going to go cash out my 401(k) so I can go buy a new Corvette for the heck of it.” Actually, I think there are some people like that, but this isn’t why most tap into their retirement funds. Instead, it’s usually more about a financial emergency that leads to this decision. Maybe you lost your job, encountered a major medical emergency, or are faced with any number of other hardships. But tapping into your retirement fund either by liquidating or taking a 401k loan can do more harm than good. And let’s not forget the cardinal sin of retirement savings — cashing out your old 401k instead of doing a 401k rollover. It’s like robbing Peter to pay Paul. This is your money, but if you take something out of one account just to pay for something else you haven’t really solved any problem. Yes, you may have been able to put out a short-term crisis, but now you’ve created a long-term crisis. Ultimately, this could lead to requiring you to work much longer than expected, sell off assets when you do retire, or maybe skip retirement completely. None of those options are good ones, but it’s a reality if you rob your nest egg early. It not only takes money away from your retirement account, but it can cost you dearly in unnecessary taxes and penalties just further complicating matters. So, make sure you don’t treat your retirement funds like a savings account. They should be an absolute last resort in a time of need and you should work on plugging some of your money leaks and apply that to an emergency fund to help you in a time of need. When you’re in high school all you keep hearing about is preparing for college. After all, these days it’s pretty much expected if you want a good job you have to get a degree. For many career paths this is true. And in some professions you need to go beyond and get a graduate degree or more. While there’s not much you can do about the fact that some professions require degrees, for the large majority of students there are steps they can take to minimize the burden of a college education. For one, you don’t have to go to a private school to get a superb education. While some schools are going to be better than others, picking a school because of their name is like buying a $200 pair of designer jeans over a $50 pair of tried and true Levis. Both will accomplish the same thing, but one costs a lot more and it may or may not pay off in the future. And don’t neglect community colleges or state schools for the first year or two before transferring to the school of your choice. Knocking out many of the basic courses in the first two years could literally mean a savings of $100,000 on your total education bill. Finally, don’t make the mistake of assuming you can just get student loans to pay for it all and you’ll be making enough money when you get a job after graduation that paying them off will be easy. It’s not. 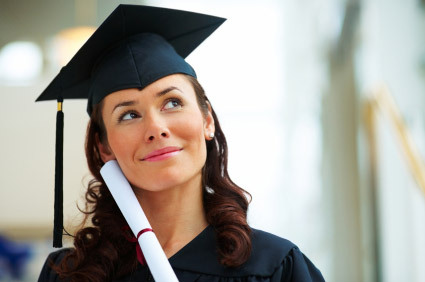 Ask anyone with a run-of-the-mill bachelors degree who has financed their entire education with loans. They may be well over $100,000 in debt and lucky to be making $50,000 a year. They will be spending the next ten years essentially making a mortgage payment and tying up valuable funds that could be going towards a retirement account, emergency savings, or a down payment for a house. If you’re a student thinking about college, make a wise decision and don’t think that you can just throw money at an education and that it will pay for itself when you graduate. And if you’re a parent you should start planning early and decide how and if you want to help your children out with college. This could mean starting a 529 plan or at least setting some expectations with your child so they know what to expect. But whatever you decide, make sure you weigh the pros and cons of saving for retirement vs. saving for college. Ask any 20-something what their plans are for retirement and you’ll probably get a confused look or outright laughter. When we’re young we feel as if our whole life is still ahead of us. And for the most part that’s true, but that doesn’t mean we have time to wait before starting to save. You see, there’s this little thing called compound interest that’s willing to put your money to work, but it requires one crucial element in order to do its job. Time. Without time the value of interest is virtually eliminated. The problem is that compound interest is not linear. If you’re investing $5,000 a year you can’t just say that if you wait two years to get started you can figure your account will only be roughly $10,000 less. No. Instead, waiting just two years to start saving $5,000 could end up costing you over $50,000 by retirement. And that’s just two years. When you make the mistake that many people make by waiting five years, ten years, or even longer until the “time is right” to start saving you’re literally throwing a few hundred thousand dollars out the window. Here’s a tip for you: there’s never a good time to start saving. I hear it all the time. People say they want to wait until they get a better job before saving. Then they want to wait until they settle down. Then suddenly there’s a child on the way, so now they want to wait until the craziness of being a new parent subsides. Then another child is on the way and they are shopping for a bigger house so they want to wait until that gets squared away… Let’s face it. There is always something going on in your life that can be used as an excuse to wait. Stop making excuses and just start! Time is either your greatest asset or your greatest enemy. It’s only up to you to decide how to utilize that time. The previous six money problems dealt with fairly specific financial decisions gone wrong, but the seventh bad decision isn’t as exact. Instead, it has to do with setting goals. This is a pretty broad topic and really, everyone’s goals will be different. But the problem is that most people don’t take the time to outline specific financial goals. Sure, people tell themselves that they want to save more, invest more, spend less, get out of debt, and all of that, but being that generic is not helpful. You need to be specific and set concrete goals so that you can put a plan together to reach them and then have something to track your progress. Instead of just saying you’re going to start building an emergency fund, be specific and say you’re going to set aside $10,000 in 12 months. 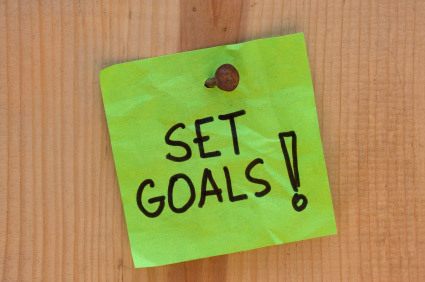 Ok, now that you have a specific goal set you can start putting a plan in place to reach that goal. You know exactly how much you need to set aside each month to reach that goal ($833) so every month you can track your progress. If you fall short, you’ll know and can then think about ways to make up the difference. If you aren’t setting specific financial goals you have no real way of knowing how you’re doing. You want to retire at 60? Who doesn’t? But the real question is how are you going to get there? Just telling yourself that you need to put money into an IRA at a place like TradeKing each year so you can build a nest egg is not enough. Instead, you should be calculating how much money you need to retire, how to allocate your investments so that you can reach that goal, and then hold yourself accountable over the years. Without goals you’re basically adrift in the sea and going wherever the current takes you. Hopefully you can avoid falling into these traps and make better decisions with your money, but don’t get discouraged if one or more of these apply to you. We’ve all been there, myself included. I bought a house for the wrong reasons, spent too much on a car, got a late start in saving for retirement, borrowed a ton of money to try and get a worthless graduate degree, cashed out an IRA in a time of need, and wasted thousands of dollars on useless little things. But if you can identify the problems and admit that you’ve made some mistakes you can learn from them and turn things around. This is very informative and I'm going to share this article on my profile so other people can read this great content as well and can learn about the common money mistakes people make. I like number 3, in regards to letting your money trickle away. Little expenses throughout the day add up over time. Especially when you give your spouse the debit or credit card to use daily, and they are not as responsible as you, this really let's the funds trickle down the drain. It is a problem when your spouse lacks financial education, and you are an expert. Certainly in these cases, keep your finances separate and watch what is going inside your online banking. Having said that, I also feel that buying an expensive brand new Lexus or BMW is a luxury that one can live without. There is nothing wrong with having a nice car like that, but dont buy it brand new . You can get a used one for half price, and still get a few hundred thousand miles out of it. When you do have nice car, don't trade it in for a new one every 100 thousand miles, these nice cars can last for 250,000 miles, and you can save the extra thousands. It is such a waste of money when people trade in a luxury car because it has 100 thousand miles on it. Keep driving that car as long as you can. Just maintain the look. Get it waxed every few months. Who cares if it has 200,000 miles on it. Great summary of the mistakes people make. I know many people who have made these mistakes, especially buying more house than you can afford. I am lucky to have already started retirement planning in my mid 20's. Planning for the future early is essential to making it easier throughout the rest of your life. What about getting divorced? Not having a will? This is a good list. Till recently, I could have said that I hadn't done any of these. I wound up getting a new car a couple weeks ago. I had my old car for 10 years and was tired of putting money into it (mechanic told me last month I needed 2k in repairs).. I guess 6 out of 7 ain't bad. I work with people filing bankruptcy, and your article is right on. I wish they taught this stuff in school! I am guilty of a couple of those. Spending too much for college and money leaks. I have money leaks and it definitely leads to diminishing cash flow! But I'm pretty good at the other items. We have a rental that used to be our primary residence and the rent covers our mortgage, taxes and insurance. We made certain we could afford it. This is a good post. I am guilty of some of the points that you have written. Money is just too hard to handle. It is so easy to spend it. Paying too much for college, in my opinion is a problem very difficult to escape from. All of us want to see ourselves making it big and would not compromise on anything big. Student loans make this easier. But when it comes to paying back the loan, it really breaks the neck. The interest really piles up over the years of classes etc. The house and vehicle fetishes are both deadly. You never ever make your money back on a vehicle, but in the long run you can hope to expect to see some return on investment on your home. Over capitalization is just crazy though, and you should beware of that. Great tips! I have caught myself making or about to make these same mistakes as well. We all make mistakes. While it would be great not to have made them in the first place, we all need to recognize that you can recover from them. Acknowledging them is the first start, and then there need to be goals and plans to counteract. I think the last two are so true. Having goals and starting before it's too late. I think a person's the wealthiest during their youth when they're still living at home, have a job but with little things to pay, hence the best time to save for all those additional hidden expenses in the future. And of course, the goals help you to get there! Hi that is very great article all is very impressive thanks for it. This is a great article. 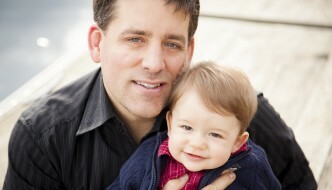 I especially think making goals and getting started early are critically important. Unfortunately, most people are looking to win the lotto or cash in on stock options, instead of taking the sure path to wealth, by saving and investing. Thank you for putting all of this together in one place... what a fabulous resource!!!! Thanks! Yeah, the tweet thing is broken for this article. I posted this in the midst of a server move and I think when the twitter plugin generated the short URL it got a 404 error. Not sure I can fix it, sorry. I tried to retweet this but received this error…. "Failed to resolve the URL in the tweet"
# 6 is what we come across the most in our 401 k and 403 b retirement plans. i am currently having a gadget fetish. It is a super fast state of the art laptop that i definitely dont need, just want. The over inflated price is what is keeping me from getting it. ah.. good o' vehicle fetishes. whenever i go with a friend to help them shop/buy a car, i'll catch the bug too. "oh boy jack is getting a new ride. i want one too."